In January 2017 Julia Marton-Lefèvre completed a year as the Edward P. Bass Distinguished Visiting Environmental Scholar at Yale University. She will continue her links with Yale University as an Executive Fellow in the School of Forestry and Environmental Studies and as a Fellow of Davenport College. She stepped down as Director General of IUCN (International Union for Conservation of Nature) in January 2015 after eight years as head the world’s largest international conservation membership organisation. Prior positions have included Rector of the UN-mandated University for Peace (UPEACE); Executive Director of LEAD (Leadership for Environment and Development) International, and Executive Director of the International Council for Science (ICSU). Julia has given hundreds of speeches throughout her career, written articles, op ed pieces, and contributed to several books. Her board memberships today include: chairing the Executive Committee for the Tyler Prize for Environmental Achievement, the Donor Council of the Critical Ecosystems Partnership Fund, Bioversity International and the Advisory Board to the Sustainable Biomass Partnership. 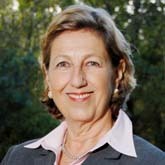 She also serves on the board of directors of the Geneva-based Graduate Institute of International and Development Studies; Oxford University’s James Martin School; the Global Institute of Sustainability (Arizona State University); the Prince Albert II of Monaco Foundation; the Institute for Sustainable Development and International Relations (IDDRI) and the Institute of Oceanography. Her links with the private sector include serving on the Critical Friends Committee of Veolia Environment S.A., and the Ethics Committee of BNP Parisbas. Julia received the AAAS Award for International Cooperation in Science; and has been been honoured as a Chevalier de la Légion d’Honneur by the government of France and as a Chevalier dans l’Ordre de Saint-Charles by HSH Prince Albert of Monaco. She received the ProNatura award from the government of Hungary and the Presidential citation from the Republic of Korea and was elected a member of the World Academy of Art and Science and the World Future Council. Ms. Marton-Lefèvre was born in Hungary, educated in the United States and in France, and having lived in several continents, considers herself a global citizen.